Read this post and pick only a couple of things to implement. The idea isn’t to see how much you accomplish, but to have an enriched experience. Have you been to a women’s retreat before? If you have, then you know that many first-time ladies are nervous. The following list of ideas can aid anyone in having a successful retreat. Listen—How God speaks to you one day might be different from how He speaks to you on another day. Sometimes God’s message will come through loud and clear; sometimes it will be a just a whisper. The point is to listen! Expect God the Father to do something in your life this weekend. Open yourself up to God’s promptings. Spend time after each session in meditation, prayer, and honest talk with others. Not everybody grows at the same speed; that’s okay—The reality is that you need to concentrate on your growth and let others be responsible for their own growth. Relax. Be yourself. You are already accepted. You have a role and a reason for being here. In fact, our Father meant for you to be here. Find the time to contemplate and to write your response(s) to each session. Write a letter before the retreat (to yourself) and do a self-evaluation after the retreat. This is a perfect opportunity to build relationships—Between family, work, church, school, and ministry, there’s never enough time to devote to your girlfriend relationships. It’s important to develop a strong network of healthy relationships. Aren’t you glad you’ll have the chance to do that at retreat. Find a prayer partner for the weekend. Be respectful of one another’s feelings and thoughts—keep confidences, don’t judge, and believe the best about one other. Be open to God’s leading. Your Turn . . . What would you add to this list? NOTE: Pam and I reduced two pages of ideas into one page and rearranged them to fit 4 categories. We then included this page in the notebook we gave the women for this year’s retreat. I hope you find at least one idea helpful. Thanks for your help, Pam. Five Reasons Women’s Retreat is a Good Value! At our last women’s retreat Jeanne and Barbie led morning exercises in the grassy area outside the lodge. 1. Q. How much is it and what do you get for the money? A. Women’s Retreat 2013 is $180.00. It is 2 nights and 3 days at Zephyr Point, May 31-June 2, 2013. The rooms are hotel style and have fresh sheets, plenty of hot water, and a bed for each woman. The majority of the rooms sleep 2. Check in is 5 pm on Friday. A. You get six meals: Friday night dinner, 3 meals on Saturday, breakfast and lunch on Sunday. There will also be snacks provided on Saturday afternoon and evening. If you have food requests (like vegan or lactose-intolerant), the kitchen will accommodate you. Be sure to mark that on the registration form. 3. Q. Is that it? A. Of course not! The teaching and worship time will be top-notch. Jenny Arnez is one of our speakers. As always the schedule is not jam-packed, so you’ll have some free time on Saturday. 4. Q. That’s a lot for $180.00 That’s it, right? A. No way! Each woman will also receive a notebook that has lots of room for note-taking, exercises for quiet time, and resources to continue the learning once home. 5. Q. Wow! Surely this is it? A. Oh, no. The Women’s Ministry Team always spoils each attendee with a bed treat. This secret item is different every year. The only way to get one of these gems is to attend the Retreat. Q. Count me in! How do I sign up for the Women’s Retreat this coming May 31-June 2? NOTE: This is not Memorial Day Weekend. A. Fill out a registration form which is located on a table in the Foyer. Or email me (susan@cnchurch.org) and I will send you a form. Turn it in with your deposit to the office, put it in an Offering Box, or mail it. Do this today. The spots are limited. Deposits are due March 10th. You can talk with me or Sydney (our book keeper) to make payments. The final payment is due May 5th. 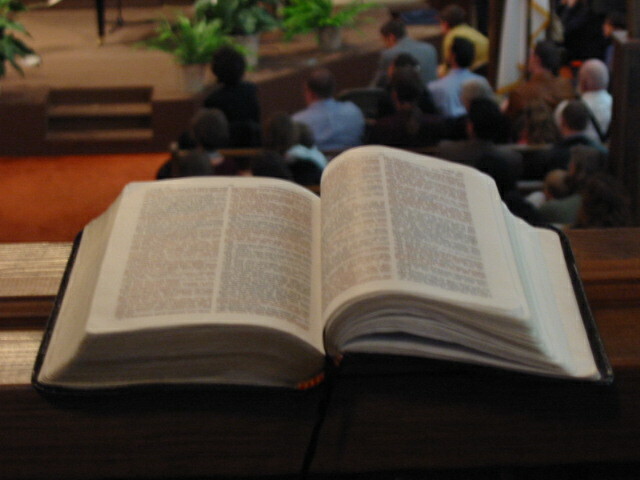 If you have a question, contact Pastor Susan at susan@cnchurch.org or 635-5992 x14. Your Turn . . . . When was the last time you attended a CNC retreat? . . . . What was your best memory? In the past 10 years I’ve had difficulties . . .
and in fearing that my dreams would never materialize. If it wasn’t for being able to draw upon God’s strength, I don’t know where I would be today. But since God is faithful to His promises and His character, I have overcome (or am overcoming) these difficulties. Because of these strength-buster events, this year’s women’s retreat topic was of special interest to me: “I can do all things through Christ who strengthens me” (Philippians 4:12). 3 women shared their story (at retreat) about how God strengthened them. Their talks were frank and vulnerable. Debbie shared how she found strength to overcome bad decisions which impacted her financially. Pam shared how she found wellness and strength in her many continuous health issues. Lastly Jenny shared how she trusts God’s truths enough to believe she was created to dream and to see those dreams fulfilled. I saw in each of their stories that God was faithful to them too. I came away greatly encouraged. Below are 5 more blessings I saw this past weekend. 1. Everyone came home well. There were no accidents, near accidents or illnesses while travelling to and from or while at the conference center. This is always a HUGE blessing. Right, Marsha?! 3. The talks made an impact on behaviour and thinking. I.e. About 9 times I heard a woman state, “I was going to buy xyz, but then I remembered Debbie’s talk and I changed my mind.” At my table-time during Jenny’s talk, I realized that others have the same fears and questions I have regarding dreams. I was encouraged by this and motivated to get to the next step in growth. 4. Women connected with one another. It was so cool to see women playing games, chatting in groups, laughing and teasing, praying and crying, walking in pairs, and intently listening to one another. We connected on a friendship level as well as on a spiritual level. 5. Communion was powerful. Elise explicitly stated what Our Lord went through (bodily) at His crucifixion. Jessica pointed us to the song In Christ Alone where it says we are “bought with the precious blood of Christ.” Singing this song during communion was especially meaningful. Lorelei signed the words and that moved me to tears several times because it was so beautiful. It was the prayer of the Women’s Ministry team that the women experience God’s faithfulness and strength this weekend. We also prayed they’d experience connection with the material, the speakers, and each other. I am grateful that God did all this and more. 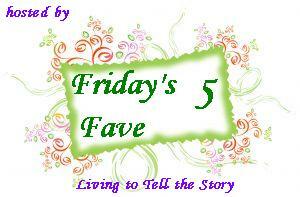 Share your blessings in the comments or write a post and link up with Susanne’s meme, Friday’s Fave Five. If you went to retreat, PLEASE share a blessing or two (or five). Come to Retreat June 10-12 Because . . .
It’s a one time a year event. If you attend, you can refresh your relationship with God, others and yourself. Your chores and other responsibilities will be put on hold. 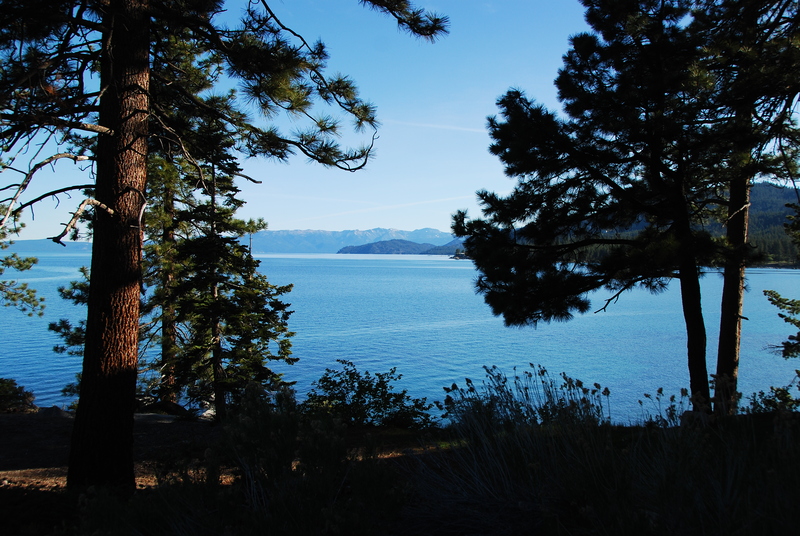 Therefore, the distraction-free environment (except for the awesome surroundings of Lake Tahoe) will allow you time to . . .
Sign up today. Click on the link for the Women’s Retreat Brochure 2011 or pick one up from the Secret sister bookcase. Fill it out and turn it in with your deposit. The deposit is due March 6th. Have questions? Contact me at susan@cnchurch.org or 635-5992. Draw a line from the list on the Left to the correct answer on the Right to see what women will NOT find at Retreat. It will be at Zephyr Point Conference Center. Isn’t it great you won’t find these things at retreat? But right now you will find Women’s Retreat Brochure 2011. Fill one out today and turn it in with your deposit ($90.o0). Or you can start making payments to hold your spot. Put Women Retreat Payment in the memo section of your check. Retreat cost is $180.00. Go here to see why that’s a great bargain. Let us know if you have any questions. Contact me at the church at 635-5992. No long lines for the bathroom…No bunk beds…No coin operated showers. Women will be staying in hotel style comfort with 2 comfy beds per room and a shower ensuite. These rooms typically house 2 women. No cliché answers…No critical, kill-joy women…No jam packed schedule. Our speakers are real women who have found real answers. CNC ladies are gentle, accepting and fun. And the schedule is just the right balance between group time and free time, and between scheduled meetings and informal interactions. This is a weekend to spend on you. You choose how much alone time or group time to have. Because we will all be housed in the lodge, it will be easy to spend time with CNC women. No household chores…No bland food. You are forbidden to go into the staff laundry to take care of the sheets and towels. You are equally forbidden to enter the kitchen to whip up dinner. Instead, you will be pampered by housekeeping and cooks alike. You will enjoy the accommodations and tasty food. Your Turn . . . Go ahead and sign up today. Deposit deadline is March 6th. 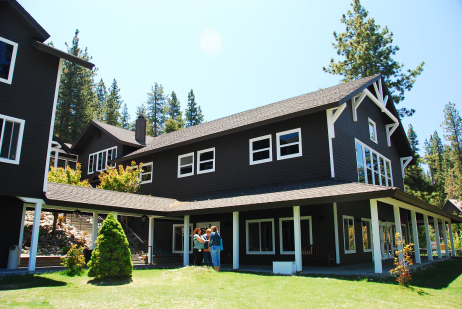 Five Reasons Women’s Retreat is a Bargain! A. Women’s Retreat 2011 is $180.00. It is 2 nights and 3 days at Zephyr Point. The rooms are hotel style and have fresh sheets, plenty of hot water, and a bed for each woman. The majority of the rooms sleep 2. Check in is 4 pm on Friday. A. You get six meals: Friday night dinner, 3 meals on Saturday, breakfast and lunch on Sunday. There will also be snack provided on Saturday afternoon and evening. If you have food requests (like vegan or lactose-intolerant), the kitchen will accommodate you. Be sure to mark that on the registration form. A. Of course not! The teaching and worship time will be top-notch. This year we’ll hear 4 women share how God was their strength in various aspects of their lives and how you can have the same. As always the schedule is not jam-packed, so you’ll have some free time too. Q. Count me in! How do I sign up for the Women’s Retreat this coming June 10-13, 2011? A. Fill out a registration form which is located on the bookcase by the Women’s Ministry Bulletin Board. You can also download a Women’s Retreat Brochure 2011 here. Turn it in with your deposit to the office, put it in an Offering Box, or mail it. Do this today. The spots are limited. Deposits are due March 6th. I came because it is the only real way to get to know people. I came to hear the speaker. Reputation of CNC women’s retreats. I always do. So tradition! I am refreshed and blessed year after year. Time away with the anticipation of growing closer to the LORD. Fellowship with fun and friendly ladies (including time with my wonderful cousin). Knowing that I personally needed the time away for ME. 50 ladies have the opportunity to attend the women’s retreat at Zephyr Point Presbyterian Conference Center June 10-12, 2011. There are 25 hotel style rooms in the lodge (double occupancy). Join us as we enjoy a comfortable atmosphere, friendship, and time away to grow in God’s Word and love. Retreat 2011 Brochures are available on the Secret Sister Bookcase or me and I will email you one (Susan@cnchurch.org). Or you can get the Women’s Retreat Brochure 2011 by clicking on the link.